In the context of RAS at the Wylerberg, Beek-Ubbergen Black birds are being colour ringed. Most are being caught using a mist nest in the context of CES. Combination of three colour rings and a metal ring. On each leg two rings, while the metal ring counts in the code. 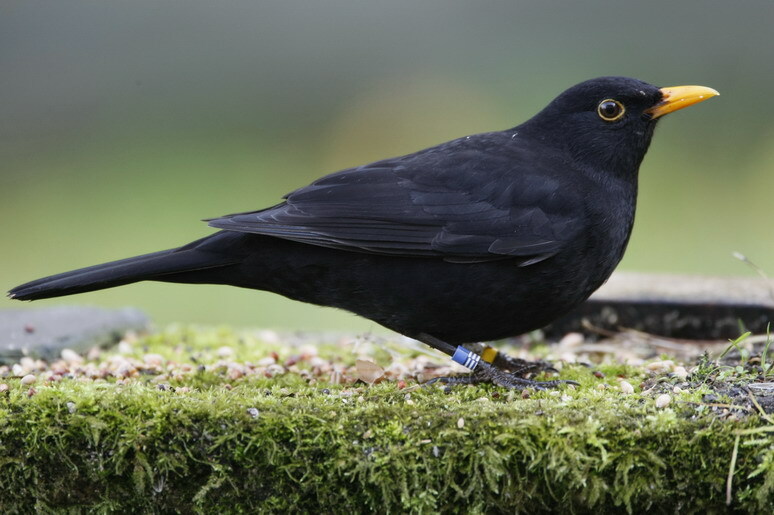 Observations of all colour ringed Black birds can be sent to me. Colour ringed Black bird male. Wylerberg 2008. © Harvey van Diek.